Fountain Road Stories – Absolutely Cultured and photographer Jerome Whittingham. This Sunday (14th April, 11am to 2pm, Waterloo Street Park) Hull’s iconic blue-coated volunteers will unveil a new photography exhibition in the heart of the Fountain Road Estate which tells the stories of local people. An old, unused out-building in Waterloo Street Park, has been transformed by large striking photography of local people in the latest Volunteer-led project by Absolutely Cultured. Following on from the tulip planting project which took place in this area of the city, volunteers realised the potential for capturing the stories of such a fascinating community, while bringing neighbours from the estate together. Commissioning Hull-based photographer and writer Jerome Whittingham, Jerome has been working with Absolutely Cultured’s volunteers to interview and photograph the people and architecture of the estate as they capture and tell its unique story. 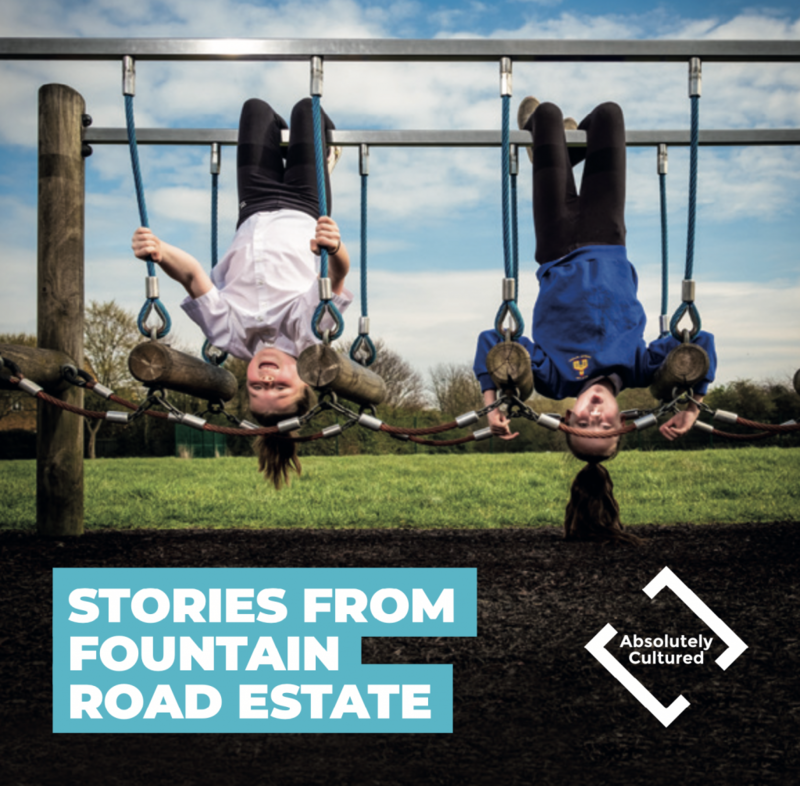 The exhibition, entitled Stories From Fountain Road Estate, opens this weekend, with a celebratory event in the park that aims to bring the whole estate together. The event coincides with the city-wide celebrations to mark the arrival of thousands of tulips, which were planted in neighbourhood across the city in November. Shaun Crummey, Head of Volunteering at Absolutely Cultured said: “We’ve seen the potential for residents in the area to share their stories. Following on from the tulips, this project is about connecting communities and supporting volunteers to make a difference in a different kind of way. “Many residents said they want people to connect with each other and learn about their neighbours – and that’s what this exhibition aims to do. Jerome Whittingham, who photographed residents for this exhibition, said: “From first glance, the fixtures of this modern estate can seem unwelcoming to visitors, with so many bollards, barriers, metal fences and grills – all forbidding the visitor to ‘go there’ or to ‘do this and that’. Be the first to comment on "Stories from Fountain Road estate told in new exhibition"